Owning a car means accepting the fact that your car will need continuous fixes, updates, and servicing. As frustrating as it is, filling the gas tank, changing the oil, and putting on new tires are all completely necessary to the healthy life of an automobile. Similarly, if you want your organization’s employees to work at their most effective capacities, those employees will need some tuning up of their own. Recognition and compensation are the keys to keeping your team working like a well-oiled machine. Without a plan that constantly changes and scales to meet employee needs, you risk losing employees and interested applicants. According to PayScale’s 2015 Compensation Best Practice Report, the top reasons employees left their jobs last year were for personal reasons and to look for higher pay, closely followed by seeking advancement. A majority of those who left for personal reasons admit that “healthcare and social assistance” was the driving factor. This trend is not new, nor is it only seen in small or medium-sized companies. A quick search of Glassdoor’s company reviews will reveal just how much employees value benefits and rewards. 21 percent of employees left their jobs to seek higher pay elsewhere. 18 percent of employees left their jobs to pursue advancement elsewhere. Though organizations of all sizes should be concerned with the reported top reasons for why employees leave, it is the medium-sized and small businesses that are more likely to adjust compensation and benefits in order to improve retention rates. Size and reputation can only do so much in the way of enticing candidates and engaging employees. At this time, only 47 percent of employees feel that they are paid fairly for the work that they are doing, and only 44 percent believe that there is a link between their performance and their compensation, according to research from Hay Group. This disconnect is more than just an issue of receiving a small paycheck for a big job; employees need to know that the companies for which they work respect their labor, and they also need to see how their deliverables affect their teams’ objectives. In order to help employees feel accomplished, employers need to communicate company-wide goals and values, as well as offer rewards for jobs well done. According to SHRM, “meaningfulness of job” is very important to 41 percent of employees, which relates ClearCompany’s finding that over 70 percent of highly engaged employees report that they not only know, but also understand the importance of their roles to their organizations’ success. The average base salary rate for 2015 is expected to increase by 3 percent across all industries, which is pretty uplifting, since pay and performance are still closely linked. However, “money” is not necessarily synonymous with “engaged and productive employees.” In fact, even though we often think of “compensation” as matter of benefits and salaries, there are other ways that employers can “compensate” employees for their good work — including employee recognition programs. Recognition efforts can start as soon as tomorrow and take only a little time and money to kick off. For example, you could consider planning short meetings that focus on weekly, monthly, or quarterly wins. Simply discussing a job well done with the team can have amazingly positive results. 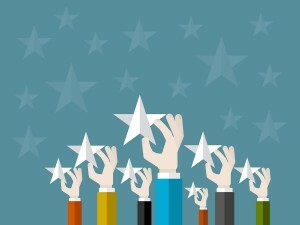 Peer-to-peer recognition programs are 35 percent more likely to have a positive impact on financial results than manager-only recognition programs, according to Officevibe. Encourage team outings or get togethers: friendship and camaraderie in the workplace will leave 57 percent of 18-24-year-old employees happy and 50 percent motivated, according to LinkedIn. Writing for GreenJobInterview, Greg Rokos states that 57 percent of companies made employee retention one of their top goals in 2014. Still, it seems that smaller companies are more likely to adjust their compensation packages for the sole purpose of improving retention rates — and yet, companies of all sizes should be doing just that. While building effective compensation and recognition programs seems difficult, these programs are extremely important in helping employees feel appreciated — which will make them more likely to perform well and stick around for longer.